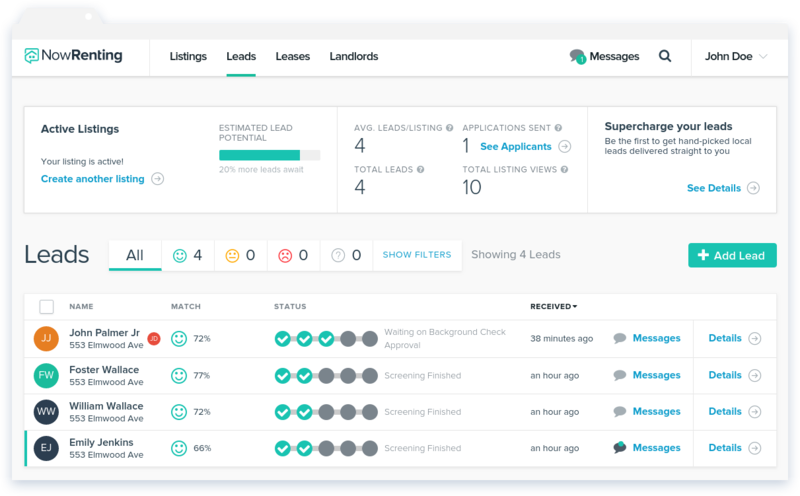 Everything a leasing agent or property manager needs in one great tool. 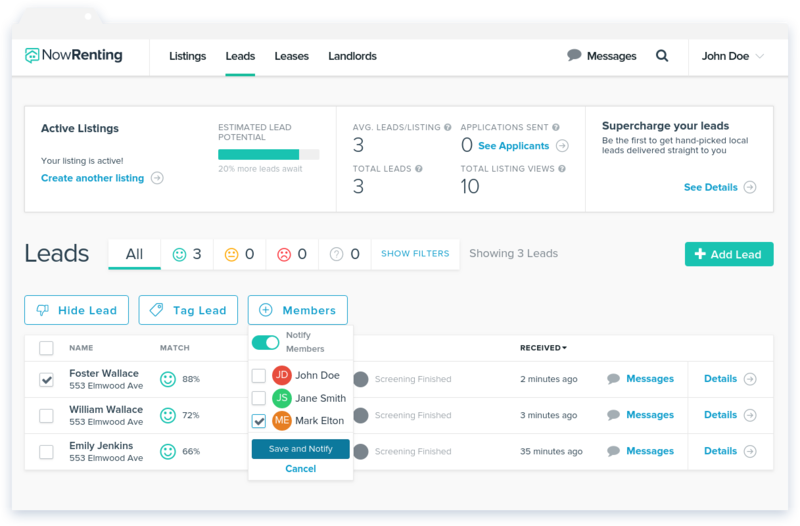 NowRenting handles screening, ranking and organizing your leads for you! 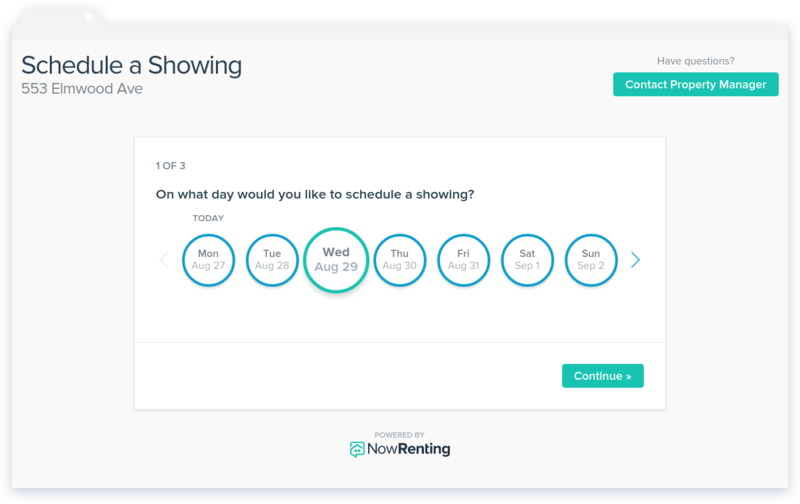 NowRenting’s Leases feature allows you to electronically sign and send lease agreements, as well as keeping track of rent payments. It even integrates with QuickBooks Online! 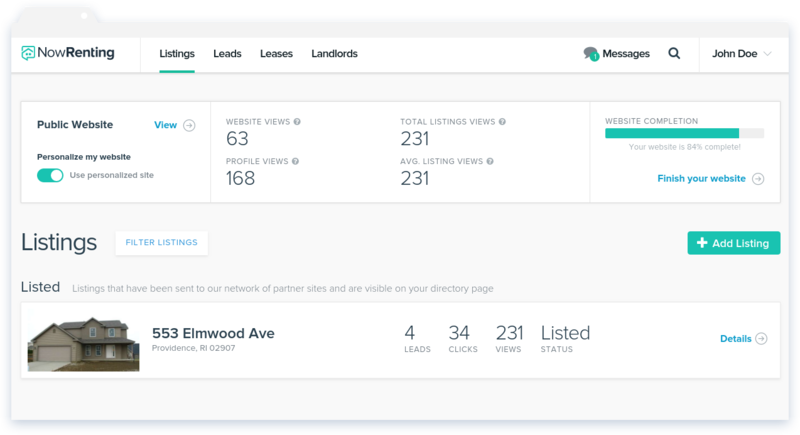 NowRenting syndicates your property to listings sites all over the Internet, as well as automatically generating a page in the NowRenting directory. With a little input from you, we also generate a beautiful custom site to showcase your properties. Send electronic applications by email or text message to the best Leads. No paper, no filing cabinets, no mess! 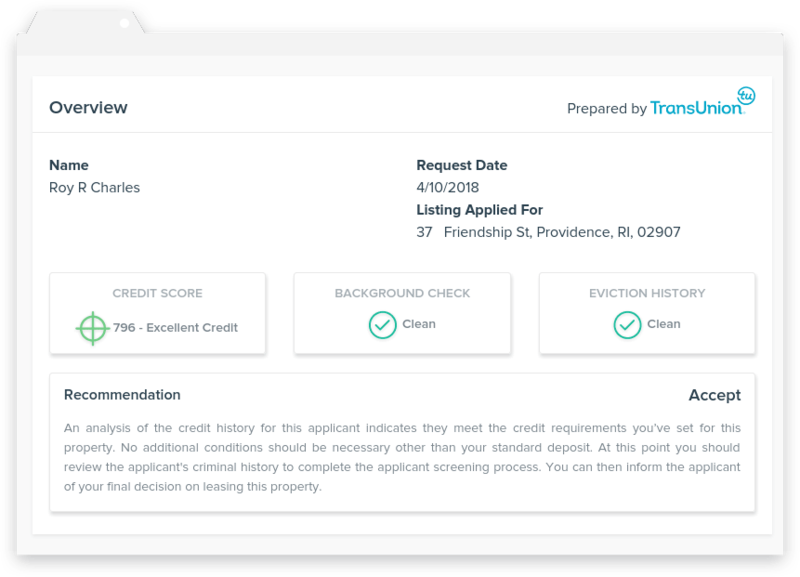 Get peace of mind with thorough, trustworthy background checks, provided by TransUnion and paid for by the applicant. 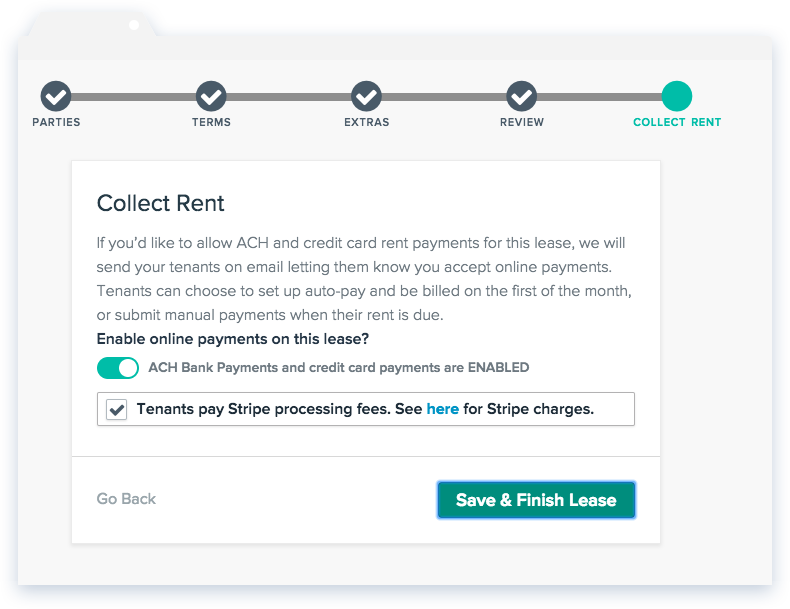 Make it easy for your tenants to pay rent online through ACH or credit card. Have a larger organization? 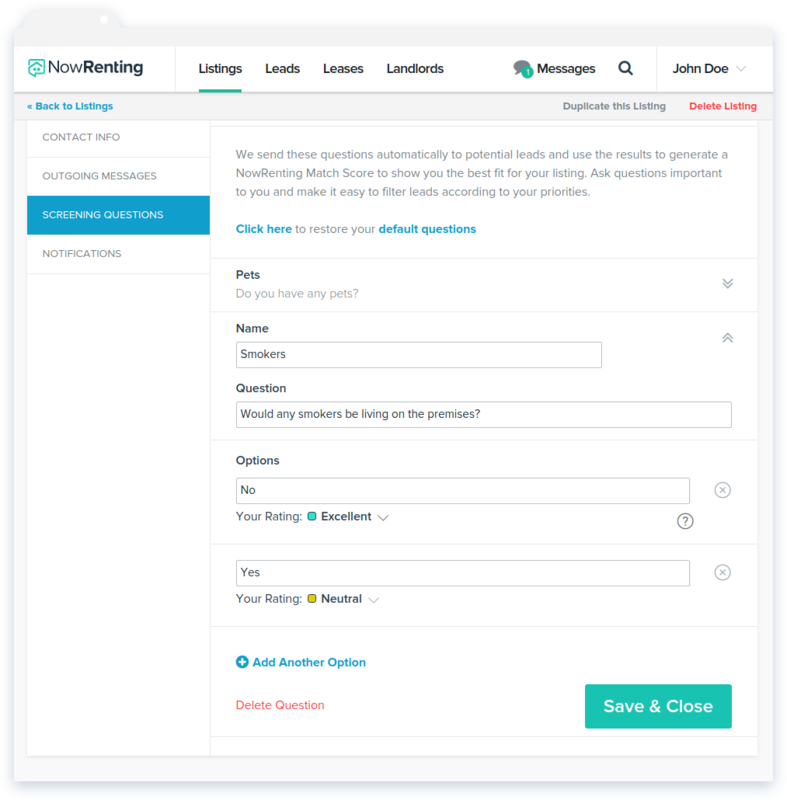 NowRenting supports creating multiple users and assigning each their own Leads. 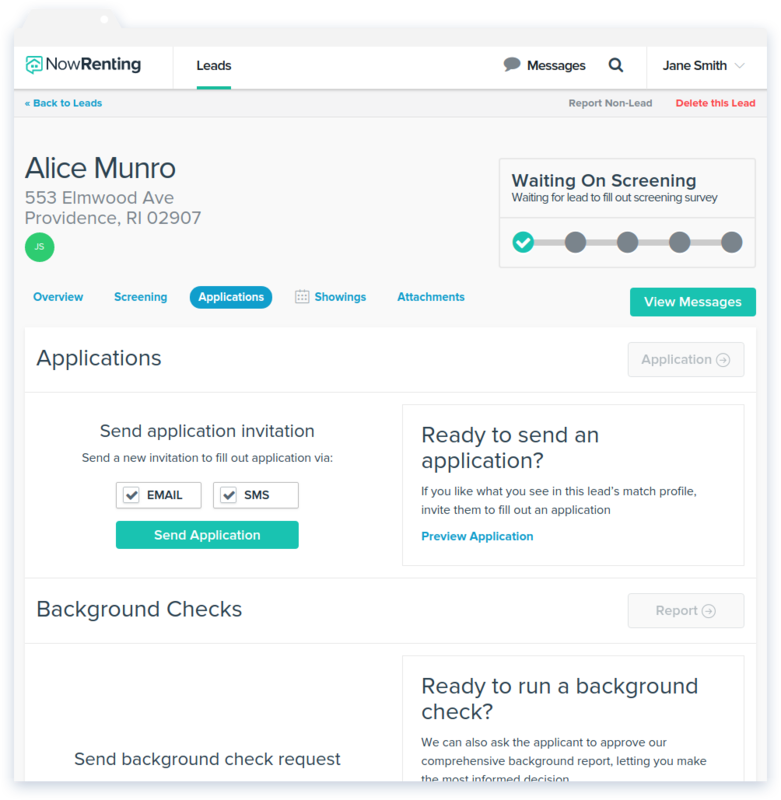 Design a custom screening survey, and prospective tenants responding to your listing will be automatically ranked according to your preferences. Tired of your personal phone ringing all the time? 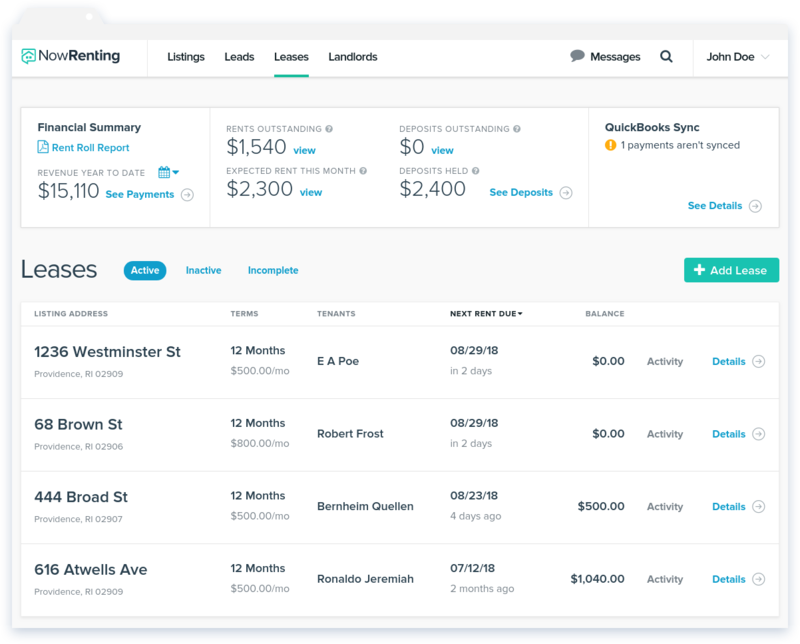 NowRenting creates a separate email address and phone number, so you can manage all your rental-related communications on one easy dashboard. Make use of all these features today with our no-risk, free 7 day trial. 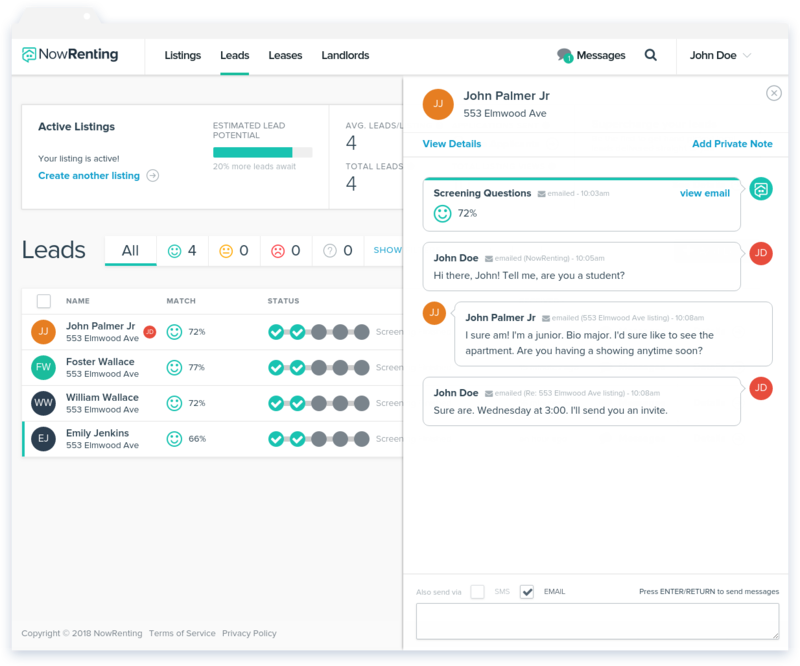 Manage the back-and-forth of aligning busy schedules with just a few clicks. 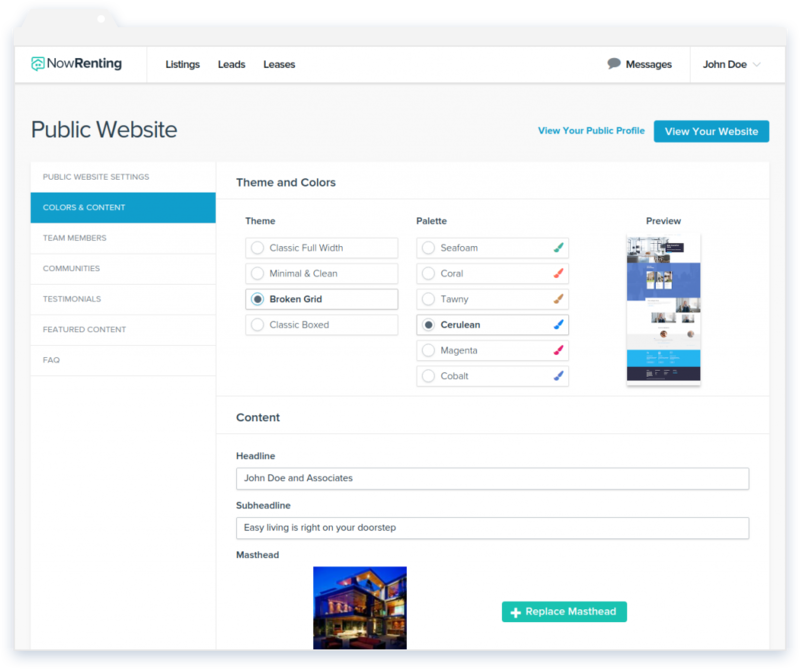 Want to have your own professionally-designed website to showcase your company and listings, without all the trouble of building it yourself? No problem! Pick between four distinct themes and six color schemes, for a look that’s sure to impress your tenants. 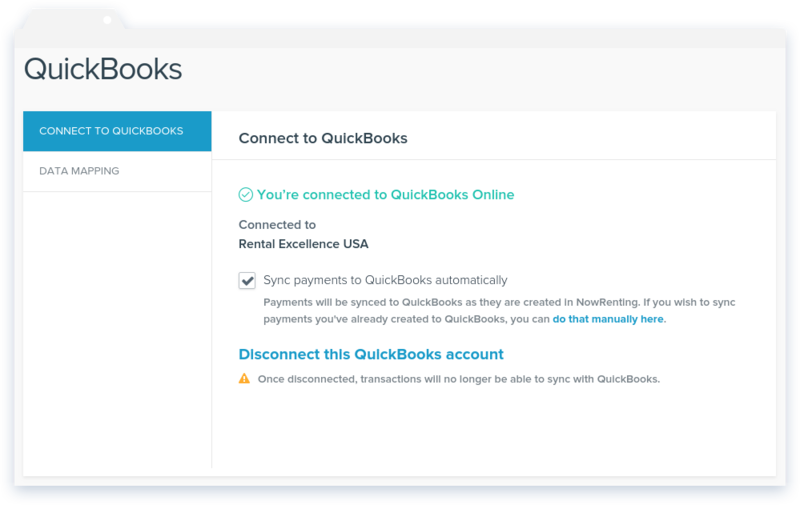 Make your accountant happy: Keep your finances up-to-date by syncing your NowRenting account with QuickBooks. 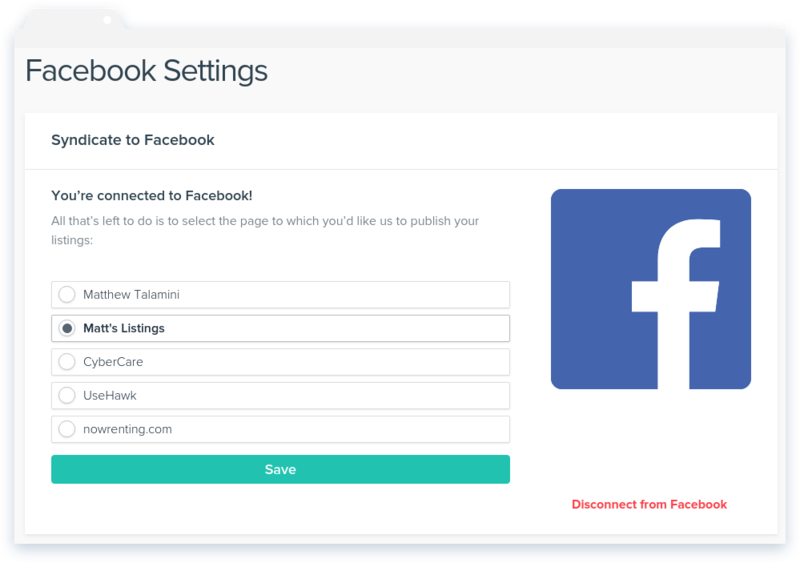 Leverage the power of the social network by posting your Listings directly to Facebook!